Day in and day out, bands from all around are striving for the music industry to take notice of them. Not every day does a band come along that has the professionalism and determination like no other. Female fronted hard rock/pop group, VARNA is that band. 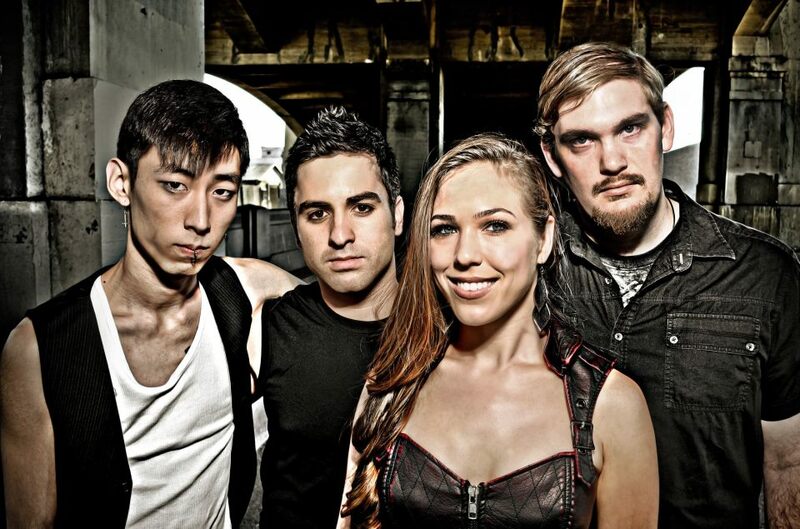 Formed in Los Angeles in early 2010 as ‘Living Eulogy’, band members consist of Tiana Woods (vocals), Rossen Pinkas (guitar) and Rob Shin (drums). With a variety of influences from Mariah Carey to Slayer, they came together perfectly. Their band name was taken from the street that their rehearsal studio was located on. They would take refuge there after working full time at their mundane day jobs . “VARNA symbolizes to us, the place and time where you get to live out your dreams.” A mix of commercial pop vocals accompanied by hard rock guitars, their songs emotional lyrics deal with the ups and downs of life, making sure that the end result is always uplifting. VA (as they are known by their fans) are a DIY band, creating their own music video for the first version of “My Heart” in addition to playing various iconic LA venues which include The Viper Room and House of Blues. In late 2012, they recorded ‘This Time, It’s Personal’ EP with rock producer Erik Ron (Panic at the Disco, Saosin, I the Mighty) which include “Down”, “My Heart” and “Running Away”. Within 2 weeks of releasing their first single, ‘Down’, VARNA has been added to Internet radio stations all across the US and the UK, charting in the company of major artists including Linkin Park and Three Days Grace. Determined on making a name for themselves by taking on as many opportunities that come their way, with passion and a plan, they will exceed past the borders of their home town. VARNA is set to be their legacy.